Playing off the hype of red sneakers in 2014, the Air Jordan 6 takes on a toro-like color scheme worth checking out. 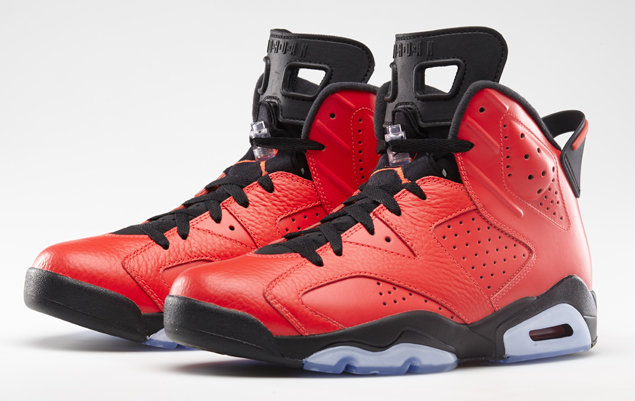 This iteration of the classic Air Jordan 6 sports a bold infrared leather upper with finishes of black throughout. An icy blue sole finishes the sneaker's appearance only adding to the looks. This eye grabbing sneaker is just one of many new Air Jordan 6 models to come out that year.